Being CFO can be rewarding, demanding, challenging, stressful and lonely. Within any organization, a sitting Chief Financial Officer can feel that they have no one to talk to, bounce ideas off of and learn from the experience of others who have been in a similar situation. 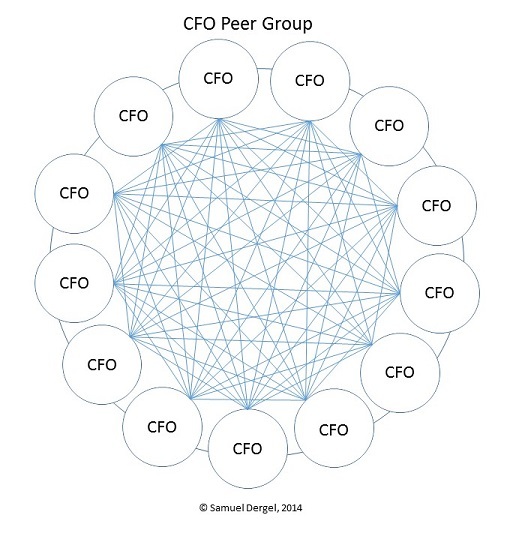 If you are such a CFO, you should know that you are not the only one that feels the way you do. Senior financial executives have told me that they want to have a place to build peer relationships with others just like them. 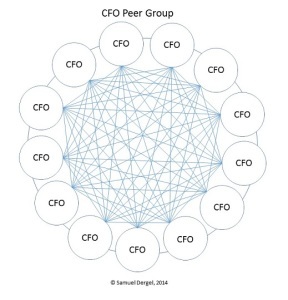 For 2018, Samuel Dergel has created his 4th Annual CFO Peer Groups for a select group of qualified CFOs. Meetings are scheduled to take place remotely 10 times during the year, with two in-person group meetings scheduled in 2018. This group is only for what the members wish to discuss amongst themselves. Samuel Dergel acts as the organizer and facilitator. There will be no sales pitches, just topics of interest. with people just like them. For more information, you can call Samuel at (415) 738-2070 or email him.